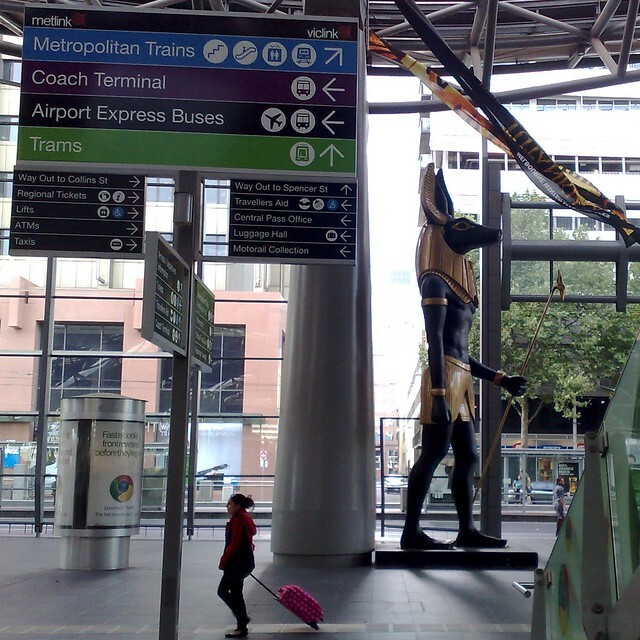 Anubis on his way to catch a train at Southern Cross Station. I wonder if he uses Google Chrome? Where’s Sutekh when we need him. I think it’s a little ironic, given we’re only a few weeks away from passover – the celebration of the Jews’ escape from egypt about 3000 years ago, with the ten plauges. Is this what they meant by armed guards? He must be going to see his mummy.